Dogs aren’t man’s only best friend. So are cats, lizards, birds, chinchillas, and even the occasional fennec fox! Man’s best friend is any creature we choose to love and care for within our homes. Unfortunately, moving from those homes can cause quite a bit of stress to our furry (or feathery, or scaly) friends. Fortunately, it doesn’t have to! When you’re juggling everything involved in a big move, it’s easy to put Fluffy on the back burner. Remember, though: your pets are going through all that stress you’re feeling during your move, as well. There are several things you can do to make your move easier on your pet. In fact, following these suggestions will probably make your move easier for you, too! Try each of the tips below next time you move. Your pet will thank you with purrs or a wagging tail. What’s better than that? Make sure you remember them when packing your "open first" box. When you're making a big room, it's always recommended that you pack an “open first” box. You move your “open first” box in your own car (not the moving van) and keep essentials inside it. Anything you’ll need as soon as you’re in your new space goes in the “open first” box. Don't forget about your pet’s needs when packing this box. Include enough food, litter, toys, and grooming gear to care for them as soon as you move in. The faster you re-introduce their stuff to them, the sooner they can acclimate to a new space. Safely sequester them during the action. Unsurprisingly, packing and moving boxes tends to be very stressful for your pet. All the people moving in and out excite, frustrate, or scare them--sometimes all at once. Add in the fact that everything they’re familiar with is going away, and the stress makes sense. We recommend taking your pet away from all the moving hustle and bustle entirely. Ideally, you should let them stay with a trusted friend or family member. If that won’t work, give them their own room or space in the house where they won’t be disturbed. Check on them regularly and do your best to maintain their normal routine so they aren't confused and distressed. Keep them with you during travel. 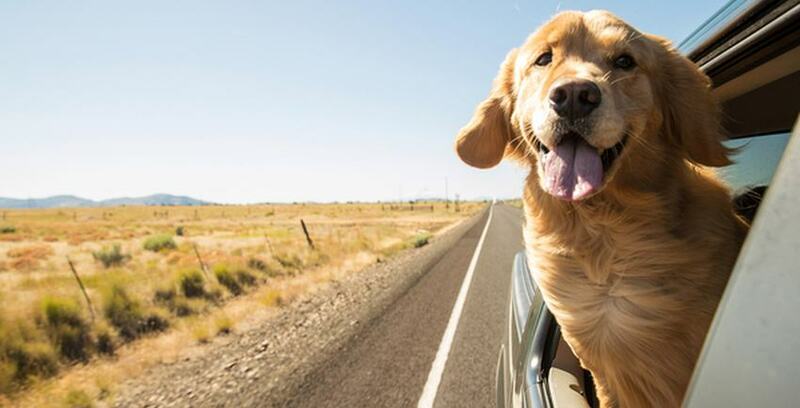 Let your pet be in the vehicle with you. Being around you will a long way toward helping them feel at ease. Ride with smaller dogs or cats in their carriers in the back seat. Secure the carrier with a seatbelt for safety. If you have a larger dog, you may need to put seats down so their kennel can fit inside. If your pet is particularly nervous, cover their carrier with a blanket to block their view. Check on and comfort your pet whenever possible. They’ll be happy to be with you. At Storage Direct, we know how important it is for your move to be as easy as possible from start to finish. The less stress on your plate, the less you pass on to your furry friends. That’s why we offer customizable storage unit solutions to fit your needs, whatever they may be. We want to help make your move as comfortable as possible, for you and your pet.